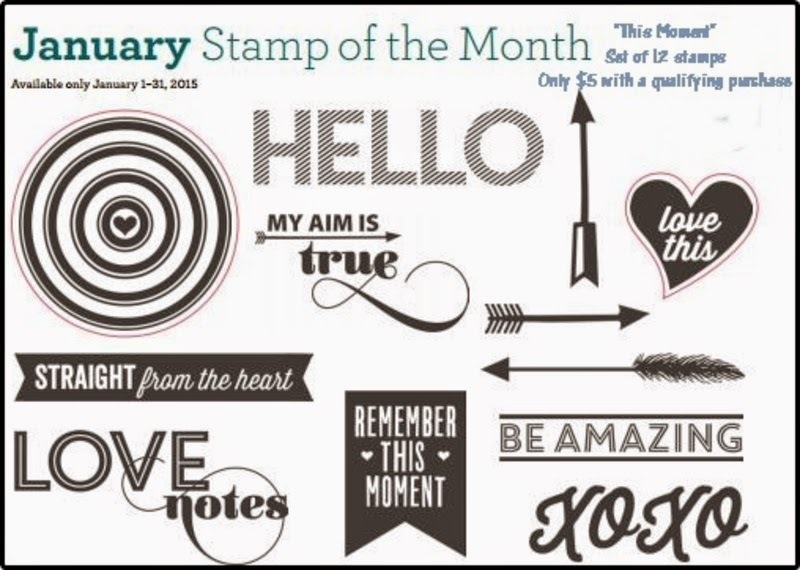 Hello and welcome to the January stamp of the month blog hop! If you've arrived here from the talented Vicki Price's blog, or if you're just starting out, you are in the right place. Just hop along until you come back to where you started. There is a complete list of hoppers right here that you can open in a new window in case you get lost along the way. This month's stamp set is In This Moment, a set of 12 stamps that I will be using over and over again! 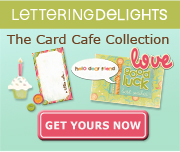 The overall theme of the stamp set is love, and I plan to use them for layouts, cards, little gifts, and more. The trendy arrows and general phrases are useful for tons of other things too. I combined the stamp set with the Heartstrings line from our Seasonal Expressions catalog to highlight these sweet pictures of my girls playing in our backyard when they were little. I also added an extra sheet of Hollyhock cardstock for the second page base. Combining the stamped element with some sticker elements from the Heartstrings Complements pack makes a nice addition to the title area. I used the target image on multiple size circles that I cut with the Artbooking Cricut cartridge. A 2.25" circle holds the entire image, as shown, while a 1.75" and 1.25" circles will frame a partial image. I used a badge button from the Heartstrings Assortment in the center of the full sized circle, and a light pink heart from the Stuck on You Puffies in the smaller target. I balanced the layout using another target image on the other side. In addition, I added the "XOXO" sentiment to the corner, and used several stamped arrows in my journaling area. If you are ready to shop, the links below open in a new window. When you are ready to hop along, we'll head to Judy Burger's blog and see what inspiration she has for us this month. What a beautiful layout and super cute kiddos, too! Really nice layout. I like all the targets in different sizes. Very pretty - great photos! The Masked Scrapbooker Saves the Day!